Fancy getting your hands on the all-new version of Britain's best-selling car? If so you'll have to wait until early next year for the new Ford Fiesta and you'll be forking out around £10k for the entry-level model. Naturally, the range will invigorated next year with the addition of the hot Fiesta ST, while four new engines will also debut in the new car: 98bhp and 123bhp 1.0-litre EcoBoost petrols, a 78bhp 1.0-litre petrol and a 73bhp 1.5-litre diesel. Drivers who favour automatic gearboxes will be pleased to hear the firm's six-speed Powershift transmission also appears for the first time in the new Fiesta. New technology on the Fiesta includes Ford SYNC – a voice-activated connectivity system which lets owners control phone calls and music hands-free – and "MyKey" which allows parents who lend the car to their children to limit the vehicle's speed and stereo volume. Ford's refreshed Fiesta isn't the only supermini making its debut at the Paris Motor Show, though. Dacia's Sandero will be there too - and that aims to steal sales away from supermini stalwarts like the Fiesta. 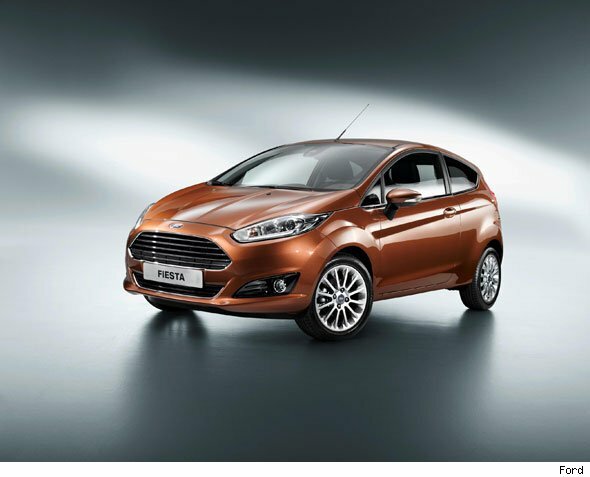 What do you think to the new Fiesta? Let us know by posting your comments below.